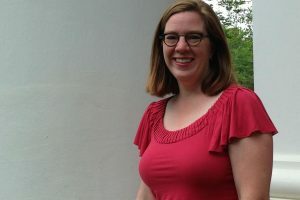 Washington and Lee University’s Digital Humanities Speaker Series will host Rebecca Benefiel, W&L associate professor of classics, and her project partner, Holly Sypniewski, associate professor of classics at Millsaps College, on May 7 at 6 p.m. in Northen Auditorium. The duo will speak about their ongoing Ancient Graffiti Project (AGP). The AGP is a growing project with more than 50 members. During the summers of 2014 and 2016, the team surveyed and documented graffiti still extant in Herculaneum. In summer 2015, they led a workshop on the ancient Greek graffiti of Herculaneum and Pompeii at the Center for Hellenic Studies, a scholarly institute of Harvard University based in Washington, D.C. The AGP website is a digital resource for locating and studying graffiti of the early Roman empire from the cities of Pompeii and Herculaneum. More than 500 ancient graffiti are now available online.